Hanoi (VNA) –Provinces and cities nationwide are busy with activities marking the International Day of Happiness, which falls on March 20. This year’s theme is still “Love and Sharing”, the Minister of Culture, Sports and Tourism said. Different campaigns imparting knowledge, skills and experience to build a happy home and community are underway, alongside a series of charitable programmes. Some localities plan to hold mass weddings, events honouring notable long and content marriages, and talk shows with outstanding women who have contributed to the nation. 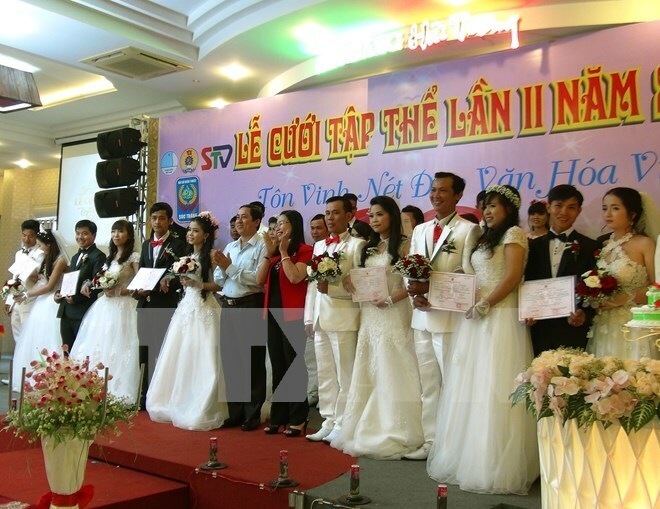 Vietnam first celebrated the international holiday in 2014. The Prime Minister issued Decision 2589/QD-TTg to mark the day annually throughout the nation. The domestic celebration is an opportunity for the Government to promote policies and initiatives to advance local living standards, and encourage law-abiding behaviour and community spirit. With a happiness index of 5.061 points, Vietnam ranks 96 th among 157 countries and territories in the World Happiness Report 2016. The three countries with highest happiness levels were Denmark , Switzerland and Iceland .